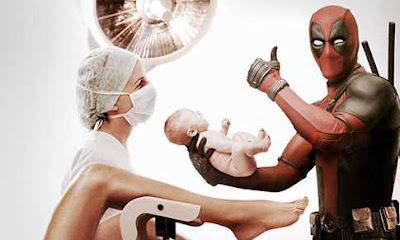 Deadpool 2 had its share of edgy, politically-incorrect moments, but there were still some scenes deemed "too much" for the theatrical cut. One that we heard about early on involved Deadpool using Cable's gear to go back in time and kill baby Hitler. It's okay to go back and kill Ryan Reynolds, apparently, but Hitler? Too much. There's an additional scene that shows Deadpool doesn't actually kill the kid, so I'm doubly confused why they didn't just keep it. Not that it would have added anything to the movie, I guess. Judge for yourself. Deadpool 2 is available now digitally, and hits Bluray on August 21st.